Welcome to the fifth video from this SEO series. I hope you're enjoying and learning a lot. In this one I explain how you can decrease the uploading time for your website. Why Should You Speed Up Your Website? The fact is Google uses this has a ranking factor to define the quality of your website. In other words, the faster your website runs the better results it will have in their search engine. Another important reason is because people on the Internet don't enjoy waiting long. Usually, the maximum they wait until a website appears on their screen is about 5 seconds. Afterward, most of them start leaving and probably won't ever return. By following the tips in this video and the next ones, you'll be able to reduce approximately 2 seconds from your site's uploading time. I know this may not seem much but on the web it's a tremendous difference! You'll certainly decrease your site's bounce rate and notice more people engage in your content. 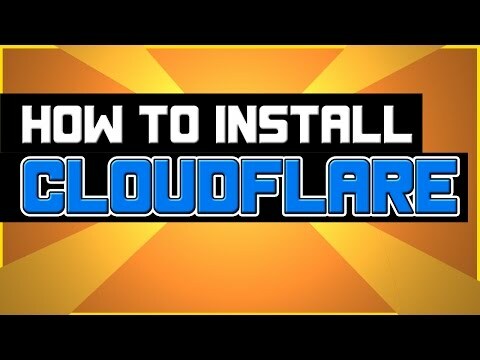 Now in days I use CloudFlare in all of my websites. Their service will drastically improve the performance of your website but also protect it from malicious attacks. But what exactly do they provide? Well, all the information from your website is stored in your web host's servers. If their servers are resided in the USA and someone from China is trying to access it to see your website. Basically, they'll need to travel a long distance to obtain it. As you can imagine this will take longer for them to be able to view your content in their computer's screen. The fact is CloudFlare has several servers spread all over the world. Your website gets copied to each one of them. When someone tries to visit your website they'll access the server nearest to them. For instance, if they live in China then they'll access a CloudFlare server over there. Actually, I'm not sure if they have one there but I guess you get the idea! However, the distance they need to travel to get your website data is a lot shorter. As a result, they're able to see your website more quickly.